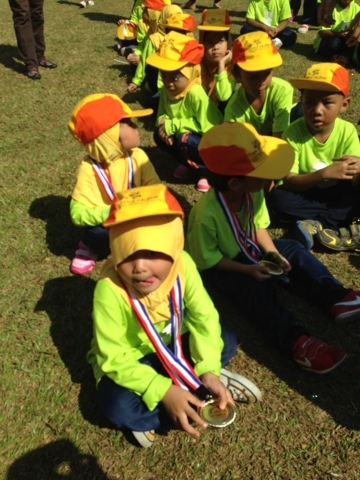 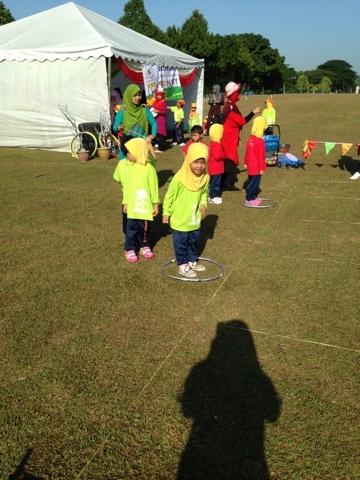 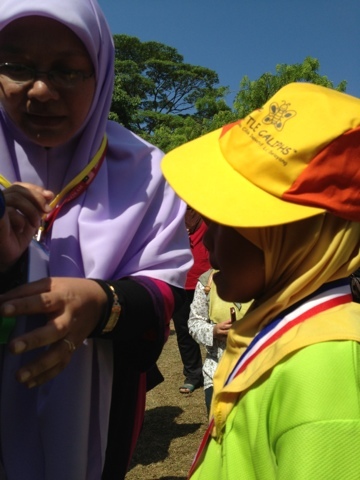 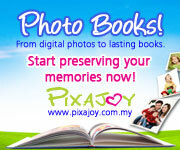 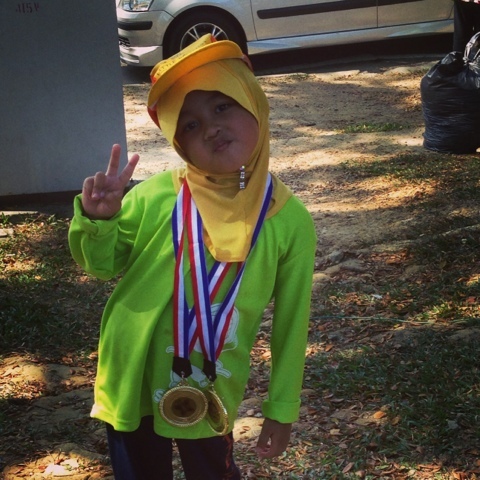 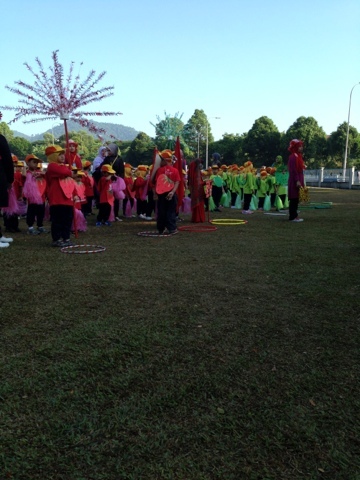 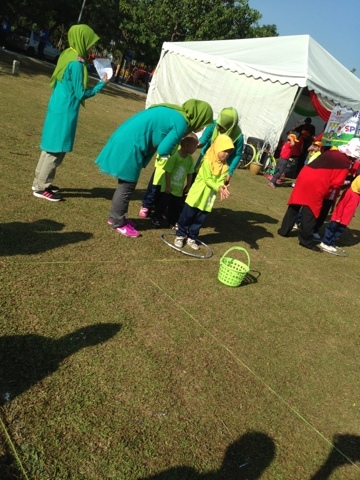 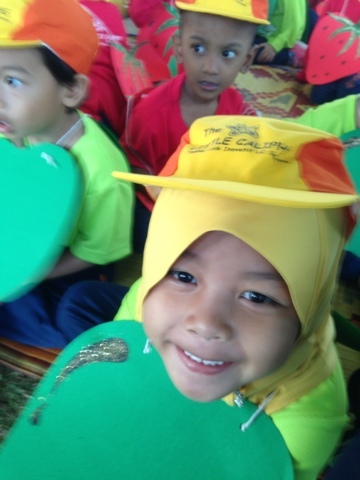 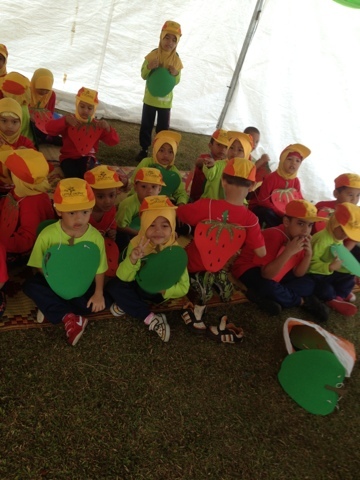 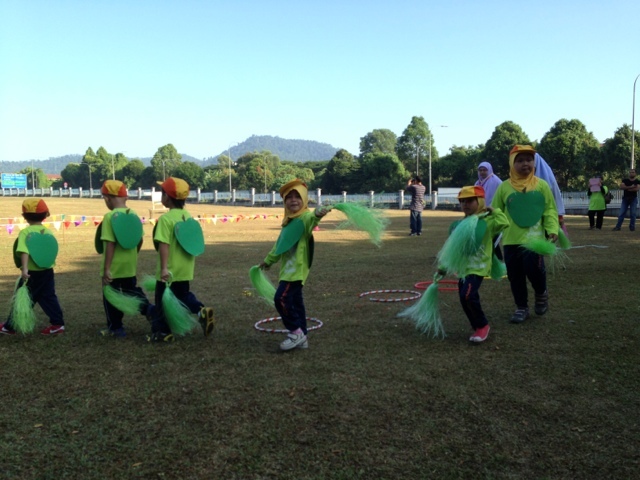 My first time attending my daughther' sport day. 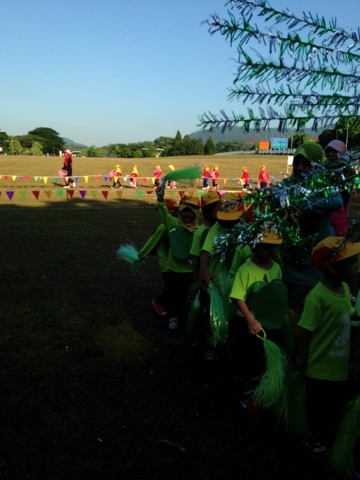 Last 29/6/2013, the kinddie held one small but very interersting sport day. 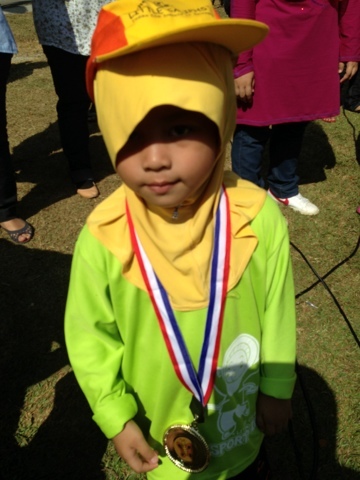 Lil Eiris take part in 2 games ans she won!